Paranormal Activity: The Marked Ones! 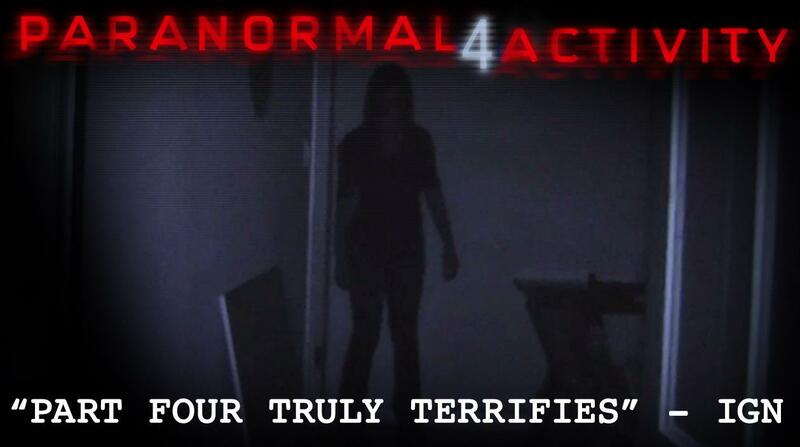 The Paranormal Activity crew are back with a new Latino focused spin-off called Paranormal Activity: The Marked Ones. Paramount Pictures have not divulged too much information into this pseudo-sequel, but there have been talks that the storyline will be rooted in a catholic based investigation and the supernatural? Paranormal Activity: The Marked Ones arrives in theatres January next year, followed by, you guessed it Paranormal Activity 5 which will be released just in time for Halloween! Watch this space, things are going to get spooky, we hope! This entry was posted on Wednesday, August 14th, 2013 at 2:00 am	and posted in Uncategorized. You can follow any responses to this entry through the RSS 2.0 feed.